For years the Obama administration has been promising to do everything they can to push gun control behind the scene; now it seems they may have successfully found a way to limit the production of ammunition within the United States, by forcing the shutdown of the last U.S. primary lead smelter through EPA regulations. In December, the last primary Lead Smelter in the United States will close its doors, making the domestic manufacture of conventional ammunition, from raw ore to finished cartridge, impossible. The Herculaneum, Missouri Smelter, owned and operated by the Doe Run Company, has been in existence in the same location since 1892. The closure comes after the EPA changed air quality standards in an attempt to shut down the business, which had no way of ever complying with the new standards that are now 10 times tighter than the previous standards. Using environmental regulation in an effort to push gun control is actually not new. In fact, earlier this month California became the first state to ban lead in hunting ammunition. The bill, signed into law by Gov. Jerry Brown, phases out lead bullets and shot by July 2019, with regulations due by July 2015. While most people weren’t surprised, especially considering the fact that California is one of the most anti-gun states in the country, many thought the law had little chance of passing at a federal level. The Obama administration knows they don’t have the votes to pass any sort of gun control through Congress, so that’s why they’ve promised to do everything they can to push it from behind the scenes. From passing numerous unconstitutional executive orders, to banning the import of collectible firearms into the U.S., this administration has been very successful at pushing their gun control agenda from behind closed doors. But with the new push to ban lead, and close all domestic lead smelting, this administration may soon accomplish their gun control agenda through limiting the amount of ammunition that’s produced domestically. To be fair, and to point out how many people on both sides of the political aisle are trying to push backdoor gun control, the original mandate to close the Missouri plant was put into place towards the end of the Bush administration’s last term. Now it makes sense why the military has been pushing the green bullet crap. Just when I though ammo prices might come back down. Don’t forget the billions of rounds that DHS has purchased. They know what’s coming! If you think that dhs purchased nearly 2 billion rounds of “hollow point” ammunition because of a possible shortage, you’re sadly mistaken. There’s only one place any agency would use hollow point ammo and it’s not to fight bad guys. Remember how they did it in the old days make your own. Maybe you should look into it a little closer because this plant has no plans of ever reopening. I don’t know if your purposely misleading people or just working off bad info but I live near the town and over 700 people lost their jobs and the plant is in the process of being permanently decommissioned. How’s misleading who now Doug? In the Leader two weeks ago it was stated that Doe Run will not rule out the wet process at Herky in the future. In the meantime they will continue to recycle at Herky for a year and then concentrate the recycling process at Virburnum. You’re crazy if you think Doe Run isn’t doing exactly what Doe Run wants. No company spends the amount of money that Doe Run has spent in Herky and just walks away. I don’t know what there game is, but they’re playing one. Unfortunately the local paper, The Leader isn’t online. They have a web presence with myleaderpaper.com, but they don’t have the stories involving the plant. There is much more to the Doe Run plant closing than any of us know. But like I said before, a company doesn’t make improvements to their property like Doe Run did without having a future plan. They built a new access road and bridge. Who does that if you are closing? Unless you have plans for the new Port that is trying to get state money to get built on property Doe Run donated? How is it that out of the blue the long time head of the port authority suddenly gets voted out of his position? What is Doe Run really planning? I also wanted to mention that this plant processed lead for automobile batteries. I don’t know where the lead for bullets came from but it wasn’t Herky. Doe Run Is still recycles the most car batteries and that lead is used for more batteries. the less pure lead they recycle is used for bullets and so on we import no lead. The changes in the city are from deals made with the state and federal government to clean up the lead. Yes we have new roads and bridges as planned for future projects the port may be one of them. Yes doe Run has mentioned options for the property but they will never do anything with lead there, not a soul on the board would go for that. The lead that was smelted at Herky was the purest and was sold on the open market much of it over seas close to 90% of all care batteries in the us for the last decade have been made from recycled batteries. Actually a lot of the lead did go to a number of ammo manufactures as well as battery companies. I highly doubt they will ever be able to reopen with the EPA regulations. It would be almost impossible. Since I don’t have a hard source to quote on where the Herky lead ended up I can’t argue that point. But surely you will agree that since Herky is/was the last domestic processor, that the lead was already be imported for bullets. Doug’s right, they announced earlier this year that do to financial risks and regulatory uncertainty they will not be reopening the plant. Tell Doug he doesn’t need to be confrontational right off the bat. It is going to continue under a group of investors and other interested parties just not Second they only employ 278 people. Third I don’t need to confirm how I know to say I know especially to someone who is being so “polite” and my source is a real person involved on the money end. I like you’re site and 99% of what’s on it but sometimes there isn’t the full story. The fact that this started with Bush is stated in the story. Also before you say that I don’t tell the full story, please have a source that can backup what your saying. If I’m wrong, I have no problem saying I’m wrong; but I’m not going to accept “some guy told me” as a legitimate source. I looked into your claim and cannot find a shred of evidence to back it up (if that changes it will be reported). And here is another source, in addition to Doug’s, that shows this plant WILL NOT BE REOPENING: http://news.yahoo.com/doe-run-scraps-plans-plant-mo-town-184133276–finance.html In fact, they are in the process of tearing it down – so I highly doubt anyone will be reopening it anytime soon. You don’t need to say how you know in order to say you know, but without citing a source you have NO credibility. I could say they are shutting down the factory, executing all the employees, and burning down their homes and I have just as much credibility as you. Seems to me that at least Doug is providing sources. And Mike414… MSM? Really? So the individual I know who works for the bank funding the project (not in Missouri) should be revealed to anyomous individuals(save the webmaster) so you can self validate when the only statement I made was look into it more. That is it look into more than what the news tells you organizations ( yahoo,cbs,nbc, google) that have been known to collaborate. Just because it isn’t opening in the same building in the same spot. Doesn’t mean a lead smelter isn’t opening in the us under the same company. Why do you pick a fight with someone you’ll never meet to prove a point neither of us has 100% of the facts. Not to mention you’re article doesn’t mention the numerous plants in the nation that recycle lead from batteries,spent bullets and pretty much anything else that contains lead. 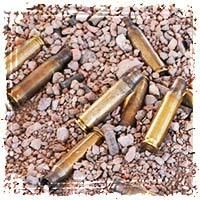 Which supply a bulk if the lead we use in bullets. Nor does it mention the fact that the New Brunswick plant in Canada is still running at full production because the demand for lead has increased world wide exponentially. Wow Tim you really have thin skin. How was OGS picking a fight with you? It looks to me like he was just responding to your erroneous claims that you are unwilling to provide a source to. OGS on the other hand provided a source that directly repudiates your unsubstantiated claims, and did so in a kind and non-confrontational matter. Next time your uncle tells you something maybe you should be the one that does some research before blabbering on about some BS that you have no proof of. I work for company that uses a substantial amount of lead from this Doe Run facility. From what I’ve been told the plant is ceasing all smelting permanently. See this EPA statement from October 2010 which confirms. I think the California ban on lead hunting ammunition applies only to a specific endangered species region — probably the California Condor territory. In a perfect hunter’s scenario, every shot would be a clean kill shot … no suffering, no orphans, no waste, no toxins, no errant bullets. There is lead-free ammo available for pellet guns. Not what you’d use for boar hunting. Hopefully, the industry will seriously explore lead free alternatives. Probably better for all of the people handling the product, too. As noted in another comment — bullet control is one way to achieve gun control. The old ban only applied to the Condor territory. The new law that was just signed by Brown applies to all hunting, everywhere in California. as a precaution,im going to begin collecting wheel weights from wrecking yards.got the idea from unintended consequences. I gotta killer deal on 1000 148 wad cutters recently,and although it fouls the barrels a lot,it got me thinking about casting, just in case. hell we may have to start loading nylon,or lol,some steel brass from hardware dept. So what? The government prohibited alcohol and drugs. The woods and warehouses were full of distillers. The woods and warehouses are now full of marijuana growers and STILL distillers. If ore can be removed from the Earth, you can bet everything on the fact that people who want lead will get more than they want. Car batteries and fishing lures will become the new ‘HOT’ items for shoplifting. Steel ammo is certainly a modern reality so there is nothing to worry about America. I work as a contractor in the Doe Run Plant. I have been there years and know all the managment personally. We are in the process of moving water lines off buildings now so they can be taken down. The water treatment plant and a few other areas will continue to run. As far as smelting lead from raw ore it will no longer be done here. All the con is going to be shipped to china or puru. Doe Run also has a plant in Puru. The new system for floating the lead has never been worked all the way out. They have figured it out on a small scale but cant get the results large scale. They are not going to spend anymore on the system without government assistance. As far as the bridge abd road goes, Freb Weber built thatfor their property that they bought from doe run. It is everything along the river. They are planning to build a port on that site. I can not believe all the right people just wondered onto this site. Bet a few are not telling the whole truth. I for one never heard of this, until today, on this site. No really, I have no ideal & do not know anyone from or around Doe Run Plant. While I think this shows just how out of control our government has become, driving even more business out of this country and destroying even more of the economy during a time when the economy is already a mess, I do not think it will do anything to ammunition. I researched this and discovered that the ammo makers use recycled lead from other plants or have always bought it from overseas. This lead plant did not produce the type of lead used in bullets from what I have read. Correct me if I’m wrong, but isn’t the loss of our only lead smelter a threat to national security? How are we to supply bullets to our troops for any future wars? Will we buy them from the Russians, Chinese and Iraqis? Right – buy your weaponry from your most likely opponents. The US still has smelters. After Doe Run in Herky closes we won’t have any more primary smelters that turn ore into lead though. Of course this comment won’t be approved either b/c it completely debunks this entire conversation. If you actually took time to read the article instead of trying to “debunk” it, you would realize that I specifically stated this is the last PRIMARY smelter. The article was never about smelters who process recycled lead. And in case you’re new here, I don’t block comments when a person disagrees with an article. It is just not bullets. The price of lead acid batteries has quadrupled under obama’s EPA. They are going after the chemical production industry as I write this. The cleanest air on Earth is dead center of the Gulf of Mexico. A bunch of Aggies went out there and took air samples. Those air samples could not pass the EPA’s tests. The same crap is happening to the coal fired electric grid. The mines are being shuttered. Over 300 plants will close shop this year. All due to EPA regulations. There is nothing to replace this capacity.